Winter is HERE! Energy Efficient Roofing, Anyone? Christmas is over and the new year has begun! And unfortunately, the most brutal of winter months are upon us. It’s time to bear down and focus on keeping your buildings heated and weather-proofed for Old Man Winter’s reign. Now’s the perfect time to invest in energy-efficient metal roofing and wall systems for your suburban, commercial or agricultural buildings. Why make the investment you might ask? The benefits are endless. But, most importantly, metal roofing is resistant to cracking, shrinking and eroding, and has the ability to substantially withstand extreme weather conditions including heavy snow loads, ice and hail. Investing is a wise choice due to it being lifelong solution versus traditional roofing that has limited life expectancy. It’s perfect for every season’s weather conditions. 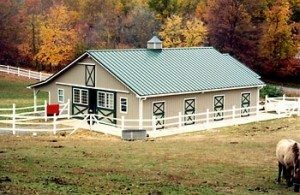 Did you know metal roofing is actually made up of 30-60 percent recycled material and is more durable than slate or shingle roofing? Even if removed for renovation or demolition, the materials are 100 percent recyclable. Nothing has its combination of durability, efficiency and sustainability. Here at FS Construction Services, we offer a wide range of products and services for metal roofing and are an authorized contractor of Fabral Metal Wall and Roof Systems. Contact us today at 866-551-3454, and we’ll help you find the best fit for your roofing and siding needs.